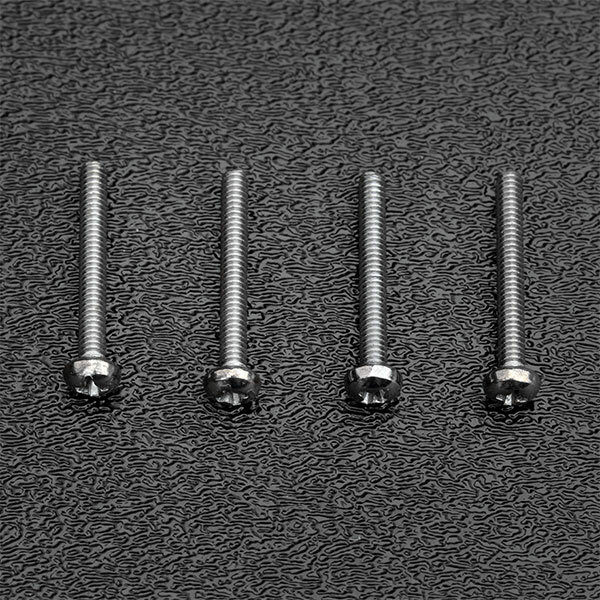 Fender® Chrome Philips Round Head Humbucking Pickup Mounting Screws - #3-48 x 13/16"
Genuine Fender® chrome Humbucking pickup mounting screw set of 4 or set of 6, you choose which quantity you need below by clicking on the appropriate "Add to Cart" button. Fender® has described these for the "wide range" Humbucking pickup but can be used for any Humbucking pickup where the 13/16" length is appropriate. Bulk packaged.